As one of the UK’s most experienced and respected dental practices specialising in nervous patient care, at Carisbrook we have developed a range of special treatments and techniques so that people who suffer from the most severe dental phobia can come to us with complete trust and confidence. An important aspect of this special caring service is that we have designed our clinic to provide the most relaxing environment there is and our staff always ensure everyone feels completely relaxed. That is why we are known as ‘The Gentle Dentist’. Another reason is that our dentists, hygienists and our support team have all undertaken specialist nervous patients courses. We use the very latest technology and techniques as part of our pain management programme while for very nervous patients our sedation dentistry treatments provide what is without doubt the ultimate in nervous patient care. There are many people today who are afraid of going to the dentist. There is no shame in this and it even has its own medical terminology – dental phobia. Everything we do at Carisbrook is designed to make patients, even the most nervous patients, feel calm and confident. The environment, the surroundings and our staff will all help you to feel relaxed. We never rush you or ask you to do something you are uneasy about. We make sure that you always feel completely in control. We even have special pain management procedures to reassure the most nervous of patients. One of these is The Wand, which completely removes any pain and fear of injections. Many patients tell us that they did not feel the anaesthetic being injected. For patients who suffer from extreme dental phobia our sedation dentistry techniques could not be better. Before you begin your treatment we can provide either oral sedation or intravenous (IV) sedation into the back of your hand. Both methods help you to become completely relaxed while you undergo the treatment and best of all, although you are not asleep, you will most probably not remember any part of the treatment. 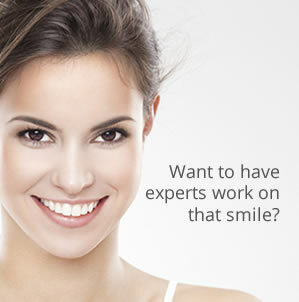 For worried, nervous patients our sedation dentistry is a real blessing. Now instead of being too frightened to go to the dentist… even the most nervous patients find that they are no longer afraid. It’s better for them, better for their teeth, better for their oral health, better for their self-confidence, better for their social life and better for everyone. If you are a nervous patient or suffer from dental phobia there is no longer any need to suffer or to be afraid of going to the dentist. Contact us now to find out more about our nervous patient care and sedation dentistry techniques. You can call us on 0161 951 7295 or alternatively you can contact us by using the online form on our Appointments page.